Poonch has had known history since epic age. The natives believe that Lord Rama and the Pandavas had visited this area. According to a popular legend, Poonch got its name from Maharishi Pulastya, grandfather of Ravana. It is said that in ancient times Pulastya worshipped here for a long time. After him the area came to be known as Pulast Nagar, which, with the passage of time, got distorted from Pulast to Printus, Printus to Prooms and then ultimately to the present name of Poonch. In Kashmiri language Poonch is still known as proons. According to Rajatarangini, Raja Trilochan Pal of Poonch gave a tough fight to Mahmood Ghaznavi who invaded this area in 1020 A.D. The Dogra dynasty ruled Poonch State from 1850 to 1947 till the traumatic events of partition of the country. Poonch district is one of the small 22 districts of Jammu and Kashmir state. Poonch has witnessed many historical eras . Around 326 BC when Alexander the great invanded the lower Jhelum belt to fight with Porus, this region was known as Dravabhisar. In the 6th Century AD, the famous Chinese traveller Huien T Sang passed through this area. 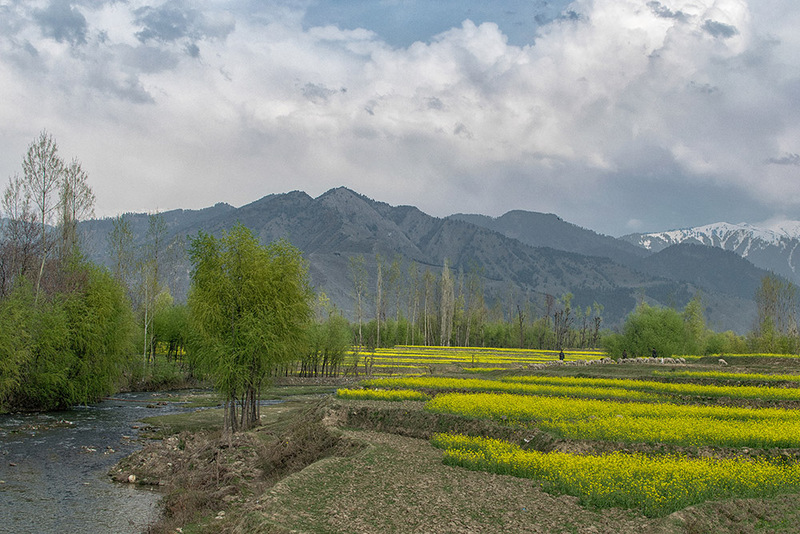 According to his observation, this region was known as part of Kashmir also known as Mini Kashmir. Around 850 AD Poonch became a Sovereign state ruled by Raja Nar, who was basically a horse trader. In 1596, The Mughal Emperor Jahangir made Raja Siral-ud-Din Rathore, The descendant of Rao Jodha and Rao Suraj Singh, the new ruler of Poonch. Siraj-ud-Din and his descendant Raja Shahbaz Khan Rathore, Raja Abdul Razak Rathore, Raja Rustam Rathore and Raja Bahadur Rathore ruled this area up to 1798 AD. From 1819 A.D- 1850 A.D Poonch remained a part of Khalsa Darbar, and it remained under the occupation of the Sikh Empire untl 1850. In 1850 A.D Dogra Raja Moti Singh laid foundation of Dogra Raj in Poonch. Moti Singh who served as the Prime Minister to Sikh Emperor Ranjit Singh was gifted Poonch as Jagir by the Sikh Emperor.Poonch remained a Jangir which had its own jagirdar under the Maharaja of Jammu and Kashmir from 1850 until the 1940s. Poonch is known as Kashmir-e-Sageer (Mini Kashmir) due to its similarity in respect of natural beauty, climatic conditions and geographical aspects with kashmir.It is located on the southern slope, Valley and Glens of the Pir Panchal range which divides Kashmir Valley from Jammu Province in the southern and south-western side. If the world famous resorts like Gulmarg, Yousmarg, Aharbal Fall are located on the northern slope of Peer Panchal, then the most beautiful natural spots like Sawajian, Loran, Valley of Seven Lakes, Snow Caped Peaks, Meadows, Dhoks with colorful Tribal life are situated in the southern slopes of Poonch. These places are connected with each other through important passes like Noor Pur Pass, Jamia Pass, Choti Gali Pass and Pir Gali Pass. 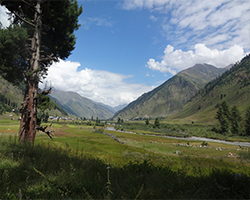 There is a tremendous scope of Adventure Tourism in District Poonch and it is expected that Poonch District shall become the Paradise for the Trekkers, Hikers and Expeditions in future. NH 144A:- one can reach the city by the National Highway NH 144A which connect Jammu with Poonch thorough Rajouri. Mughal road connects Kashmir valley which passes from Buliaz in Poonch to Shopian in Kashmir..